It is possible to explain the complexity of a territory as a mosaic of interactions between human activities and its surrounding environment. During the last century anthropic expansion and the consequent urban sprawl produced a great loss of natural resources therefore “Territorial Planning Strategies” became an important tool to attain decision makers targets. Many variables are concerned in land-use changes, and many factors (human, political, economic) are involved in the urbanization growth, thus through the application of a “decision support analysis” is an important and complicated strategy for a correct territorial planning. Territorial planning is based on decision: a decision is a choice between alternatives. The alternatives may represent different courses of action, different hypotheses about the character of a feature, different classifications, and so on. With rapid increases in population and continuing expectations of growth in the standard of living, pressures on natural resource use have become intense. For the resource manager, the task of effective resource allocation has thus become especially difficult. Clear choices are few and the increasing use of more marginal lands puts one face-to-face with a broad range of uncertainties. Add to this a very dynamic environment subject to substantial and complex impacts from human intervention, and one has the ingredients for a decision making process that is dominated by uncertainty and consequent risk for the decision maker. Uncertainty is inevitable in the decision making process. Uncertainty includes any known or unknown error, ambiguity or variation in both the database and the decision rule. Thus, uncertainty may arise from such elements as measurement error, inherent variability, instability, conceptual ambiguity, over-abstraction, or simple ignorance of important model parameters. Managing the environment implies dealing with dynamic systems that are only partly understood, with multiple interests and multiple actors, with long-term implications that range from the local to the global scale. “It has become more and more difficult to see the world around us in a unidimensional way and to use only a single criterion when judging what we see. We always compare, rank, and order the objects of our choice with respect to criteria of choice. But only in a very simple, straightforward, or routine situation can we assume that a single criterion of choice will be fully satisfactory” (Zeleny, 1982). Successful decision making depends on the quality and quantity of information available to decision makers. 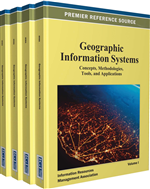 In general, two types of information are used in the spatial decision-making process: geographical information and information related to decision maker's preferences. The amount and type of information required depend on the nature of a particulate decision problem. Several characteristics of spatial decision problems can be singled out. Spatial problems typically involve a large number of alternatives that are evaluated on the basis of multiple criteria. Some of the criteria may be qualitative while others may be quantitative. There may be more than one decision maker and they may have different preferences with respect to the relative importance of the evaluation criteria and the decision consequences. The spatial problem may involve uncertainty and imprecision that make it difficult to predict the outcome of particular decisions. Given these characteristics, many real-world spatial decision problems give rise to Geographical Information System (GIS) based multicriteria decision making. Decision Theory is concerned with the logic by which one arrives at a choice between alternatives. What those alternatives are varies from problem to problem. They might be alternative actions, alternative hypotheses about a phenomenon, alternative objects to include in a set, and so on. In the context of GIS it is useful to distinguish between policy decisions and resource allocation decisions. The latter involves decisions that directly affect the utilization of resources (e.g., land) while the former is only intended to influence the decision behavior of others who will in turn make resource commitments. “Resource allocation decisions are also prime candidates for analysis with a GIS. Indeed, land evaluation and allocation is one of the most fundamental activities of resource development” (FAO, 1976). One of several GIS application tools is based on territorial analysis with the integration of a decision support methodology that is the “Spatial Decision Support System” (SDSS).